Blind Date under a microscope! Are you a fan of this modern institution of mismating? Well, ease your fear of meeting an odorous, pimply freak with this hilarious gift box collection. 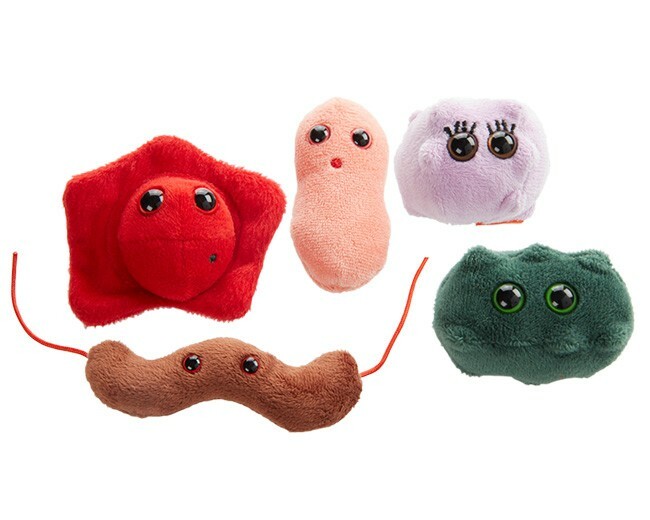 Don't go home with a date who infects you with weirdness; just come home to GIANTmicrobes and fall in love with these charming, cuddly microorganisms! 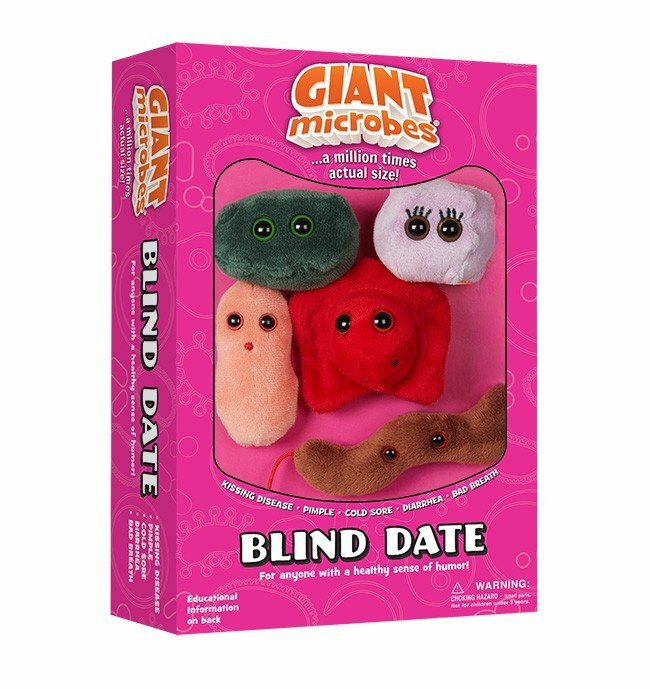 Blind Date themed gift box includes these mini microbes: Kissing Disease, Pimple, Cold Sore, Diarrhea, and Bad Breath. The Kissing Disease, or mononucleosis, is caused by the Epstein-Barr virus. More than 95% of the population is infected! Fortunately, most people catch the virus at a very young age, at which time the symptoms are often too mild to be noticed. Most people get over the virus in a couple of weeks – though it can take up to a year to kiss it goodbye! While adults sometimes have acne, nearly 100% of the population suffers breakouts at some point in their teenage years. Like the food at the school cafeteria, it is just an unpleasant part of growing up! Propionibacterium acnes is the skin bacteria significantly responsible for the condition. The increased production of testosterone during puberty causes the sebaceous glands to increase production of oily sebum. Since P. acnes loves sebum, it multiplies rapidly in skin pores, causing redness, swelling, and a variety of lesions. Cold sores are caused by certain strains of the herpes simplex virus (HSV). HSV-1 usually causes cold sores. HSV-2 is mostly responsible for genital herpes. The word “herpes” (Greek for “creep”) was used by Hippocrates 2,500 years ago to describe sores that crept along the skin as they spread. When infected with HSV-1, most people never develop any signs. Some factors that may trigger cold sores include fatigue, stress, weakened immune system, excessive sunlight and lip injuries. Good luck avoiding these before things get creepy and ugly. 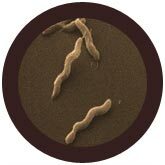 Bacterial infections are one of the more common causes of Diarrhea, and Campylobacter is one of the most common culprits. The primary medical difficulty with diarrhea – discomfort aside – is the substantial loss of fluids victims suffer, not to mention the loss of salts and minerals that are necessary to maintain normal bodily health. Many people believe that bad breath, or halitosis, is caused by gas rising up from the stomach - particularly after eating onions or spicy foods. In fact, most cases are caused by microbes such as Porphyromonas gingivalis. Between three and four hundred types of microbes typically call the human mouth home. Most are harmless. But a few produce "volatile sulfur compounds."